For more information on each offering, please click on underlined words. A CD of a full-day seminar on marketing to win grants. A custom review of your marketing piece showing how it can work harder, save money. Let the guy who "wrote the book" on evaluating community marketing show you how. A review of what messages local land use controls are sending that can affect your community's growth. 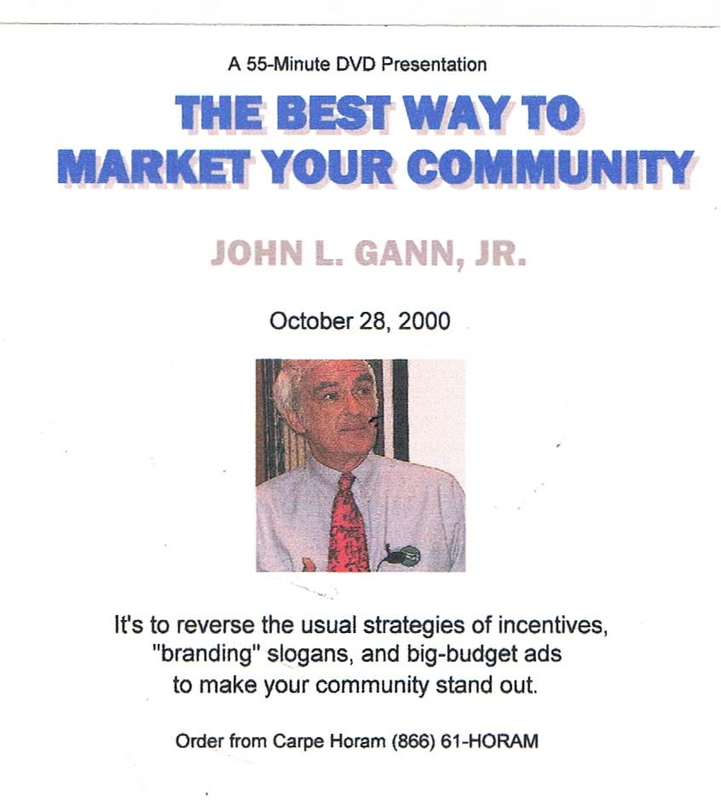 A DVD of a 55-minute conference presentation on how to be more effective in branding or marketing. A DVD showing what one town's brochure does well or poorly. A DVD of a presentation with questions every place needs to ask to do marketing better. Three women hold the key to reviving downtown by learning from the past instead of just repeating it (DVD). A CD on an alternative to trendy but problematic "New Urban" planning. 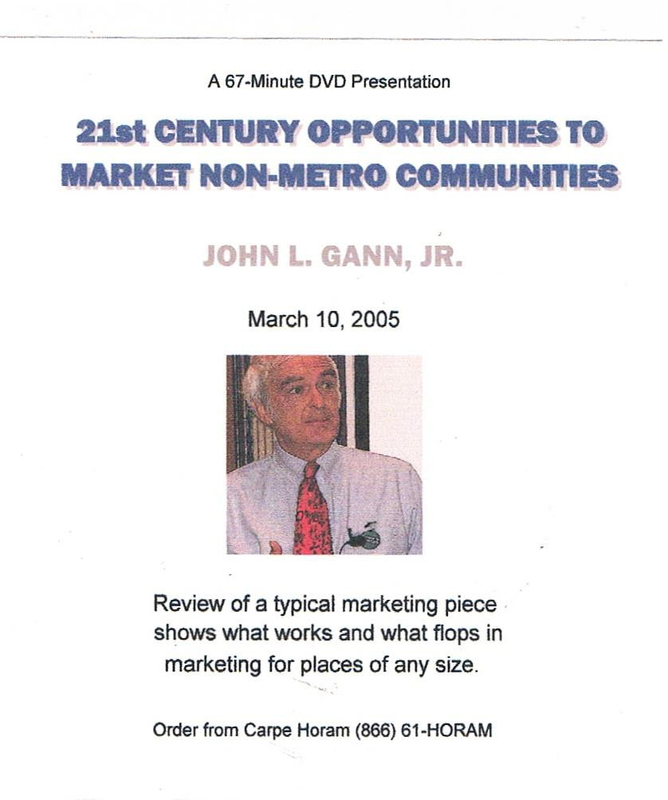 A CD of a business conference presentation on how to market zoning changes to local officials. For more marketing training, just click here.